Electrical organization will come into play for most builds, mild to wild. 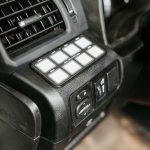 For some it will include a light bar and an additional USB plug, for others, it will be a whole system that can power and manage all of their electrical needs. 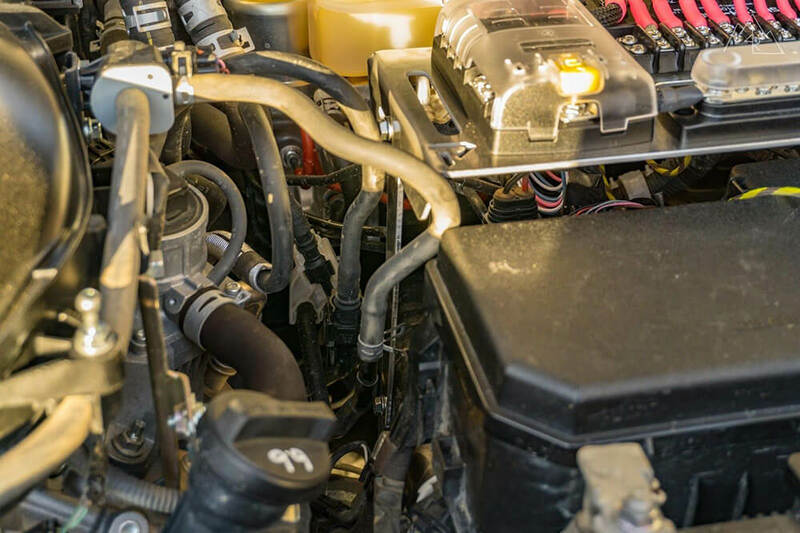 In a lot of cases, owners will start by adding a few things here and there until their engine compartment and battery terminals look something like a rats nest of wiring and in-line fuses. At some point enough is enough, and something must be done to harness all of those errant wires into an organized and functional system. Enter the PowerTray electrical main panel. 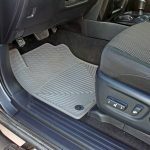 It bolts in place on the driver’s side of the vehicle to provide a sturdy and functional platform that a variety of different electrical components can be bolted to, specifically tailored to the vehicle it is installed in. 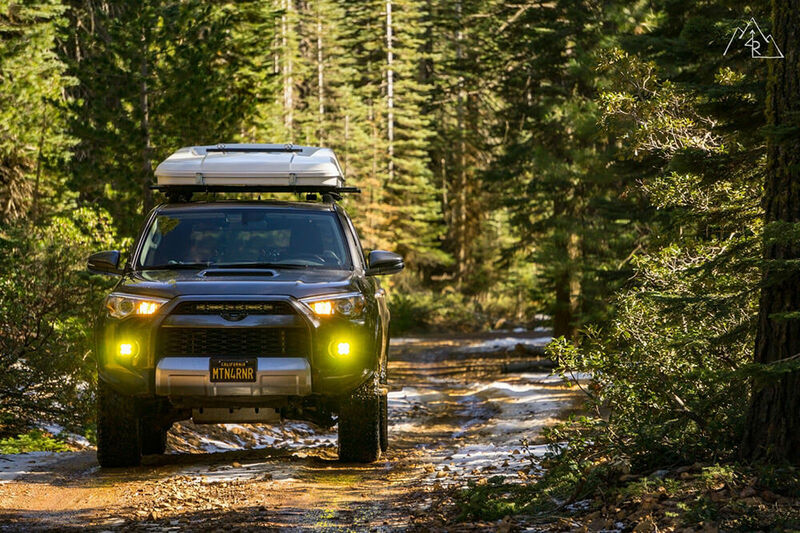 Made with ⅛” brushed aluminum and stainless hardware, it is built to withstand the harsh environment under the hood. 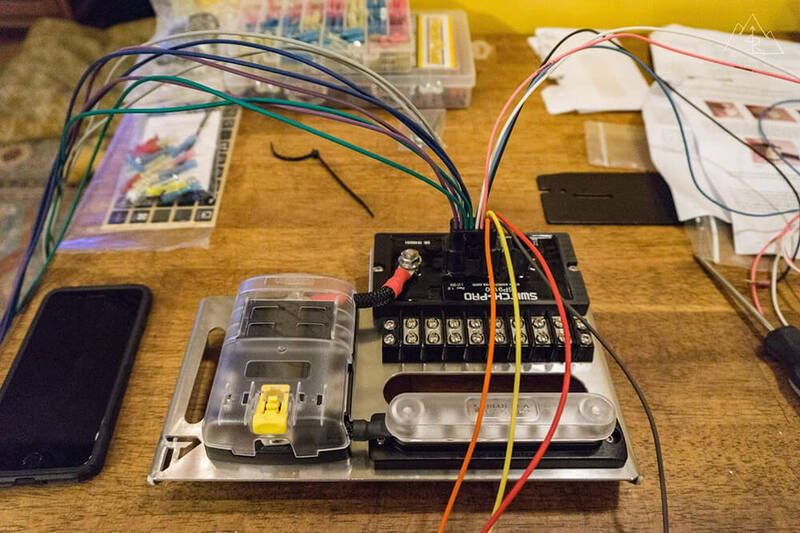 This installation will be showcasing their “Switch-Pros PowerTray” which is optimized for a Switch Pro 8100 or 9100, a Blue Sea 6-circuit fuse block, a Blue Sea 8 slot terminal block and their “stubby” cables. All of the components and the associated hardware, other than the Switch Pro itself, can be purchased directly through the Power Tray website. The basic installation of this tray will be the same with any of their configurations. Start by laying out your accessories on their designated cutouts, making sure that you have them all facing the correct direction. 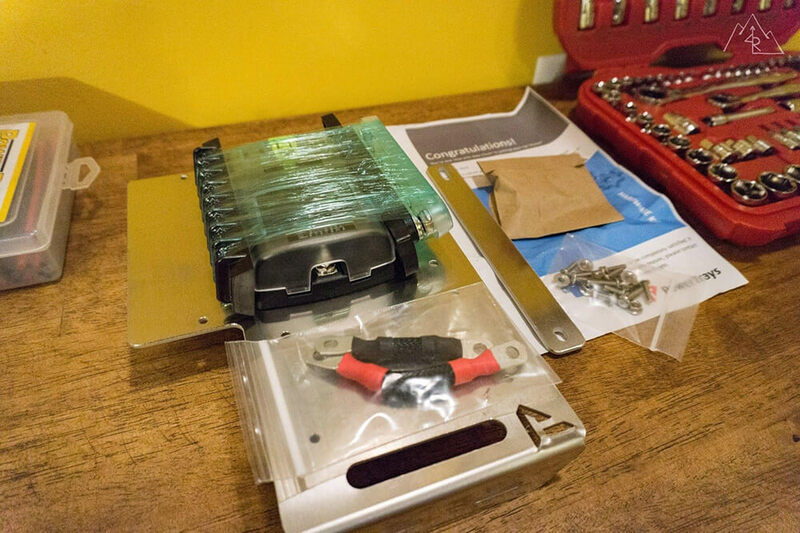 Then, using the supplied hardware, install the accessories on the tray. The terminal block uses 4-M8 bolts/nuts, the bus bar uses 2-M8 nuts/bolts, the fuse block uses 4-M7 bolts/nuts and the Switch Pro uses 2-M4 bolts/nuts. It’s a pretty straightforward procedure, the holes will only line up in one combination. This will be the same with any of their pre-configured trays. The blank tray will need to be customized at this point to suit the buyer’s specific needs. 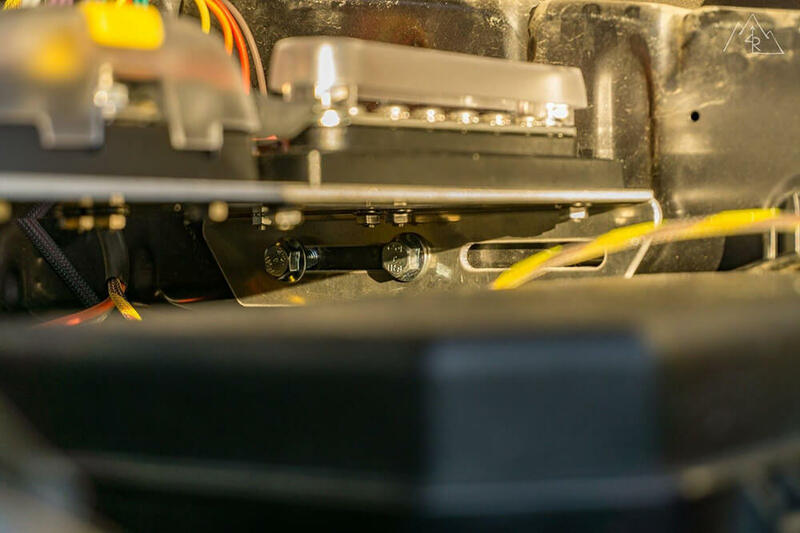 NOTE [02/05/2019]: Switch-Pros have specified in their instructions that the SP9100 power module is designed to be installed either vertically or facing down. This is to keep moisture from building up on the wiring harness and potentially getting past the plug seals and into the corrodible connection pins. I confirmed this with a phone call to their tech support. Mounting it horizontally as instructed by Power Tray can potentially void your Switch-Pros warranty if water causes a problem with the connections. The Switch Pro comes with individual leads for each of the 8 outputs it has. 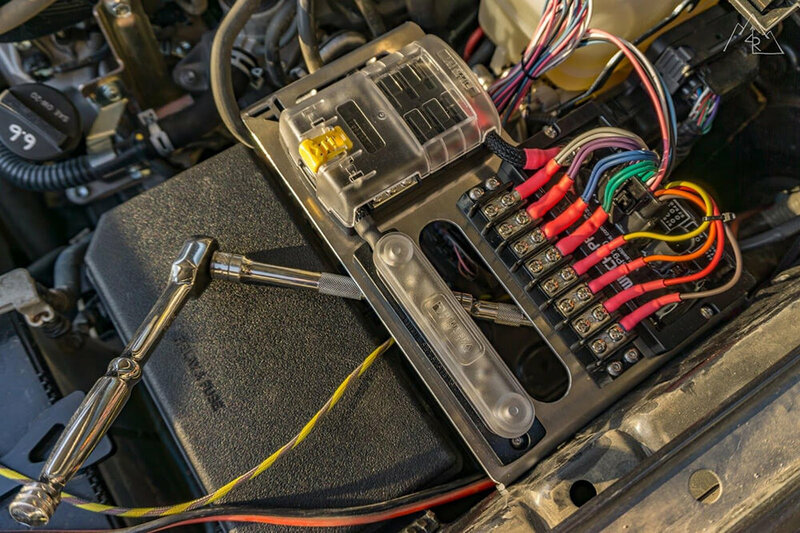 This can get messy in the engine bay with wires being connected and no real way to organize them. With the use of the Blue Sea terminal block, these leads can be organized and easily arranged to suit the customer’s needs. 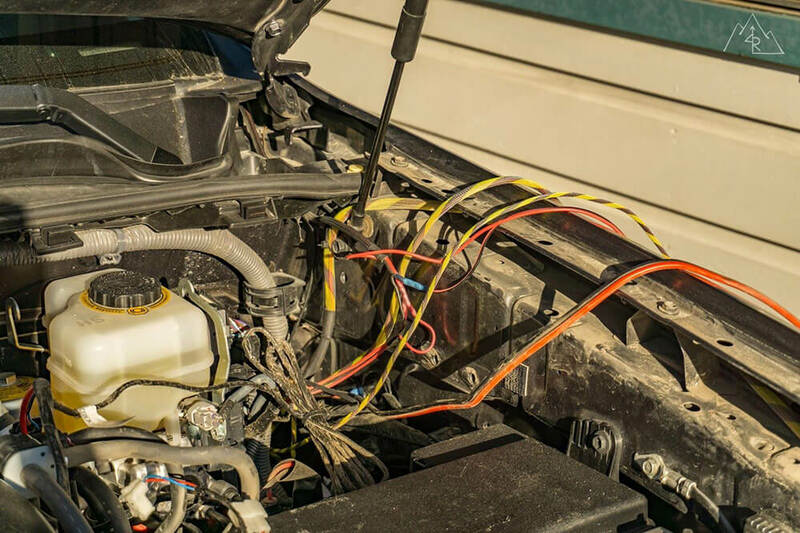 It’s best to wire the Switch Pro to the terminal block outside the vehicle so you aren’t leaning over the fender for an hour trying to make everything equal. 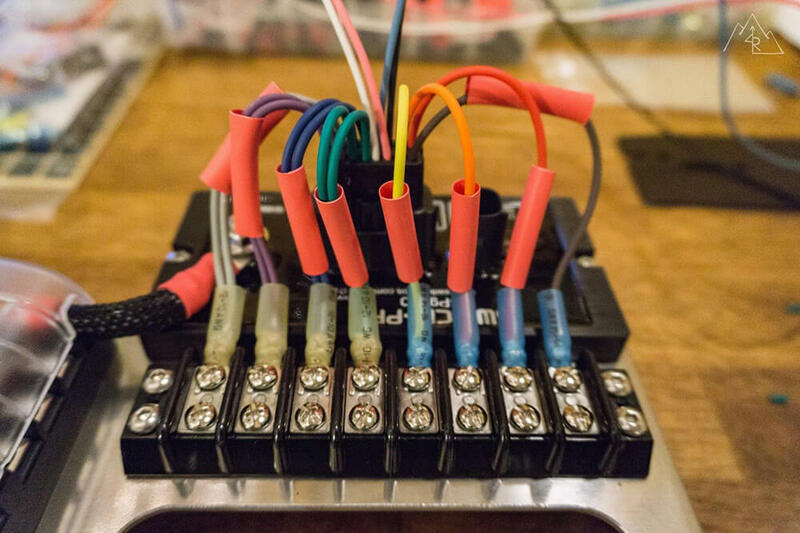 Start by separating the output leads from the input leads of the Switch Pro, ordering them from one to eight. Start with output lead number one, cut it to length with a little extra slack for good measure. Be sure to strip the end ¼”. Slide a ½” piece of 1/4″ shrink tubing over the wire, then use the crimping tool to secure a #10 fork terminal on the end of the wire. With the heat gun, apply heat to the terminal to seal the end. Next, slide the shrink tubing over the cooled terminal end and apply heat to finish off the lead. Attach the lead to the designated screw on the terminal block to secure it. Repeat for leads two through eight for a clean finished product. Wires are cut to length, 1/4″ shrink wrap in position, and connector crimped. Don’t use the heat gun yet until everything is test fit. All wires test fit and in position. Everything looks ok for final fit. Apply heat with a heat gun to the connector first, then slide the shrink wrap over the connector and apply heat again until sealed. These are the Power Tray Stubby Cables. For my installation, I used the negative cable shown, but changed the positive cable to dedicated runs. One for the fuse block, one for the Switch Pro. 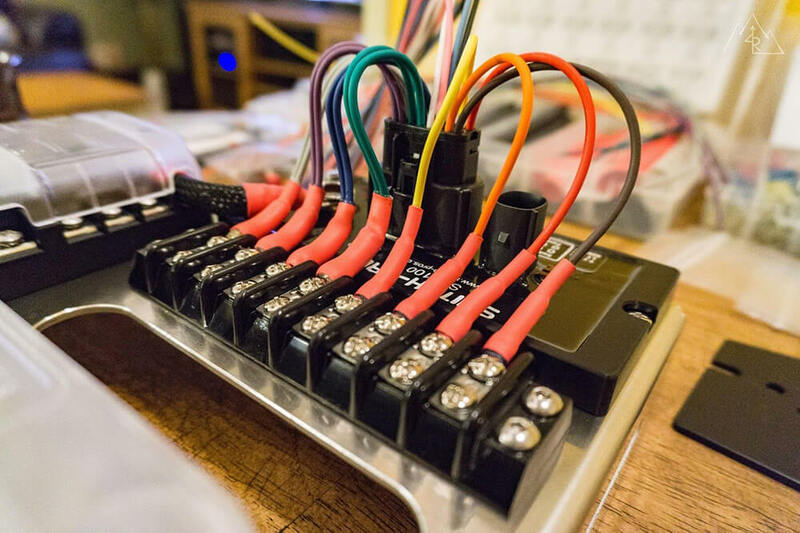 Power Trays offers what they call their “Stubby Cables” for this setup and essentially the kit is a set of short cables that connect the positive leads from the Switch Pro and the fuse block together and the negative leads from the fuse block and the BUS bar. 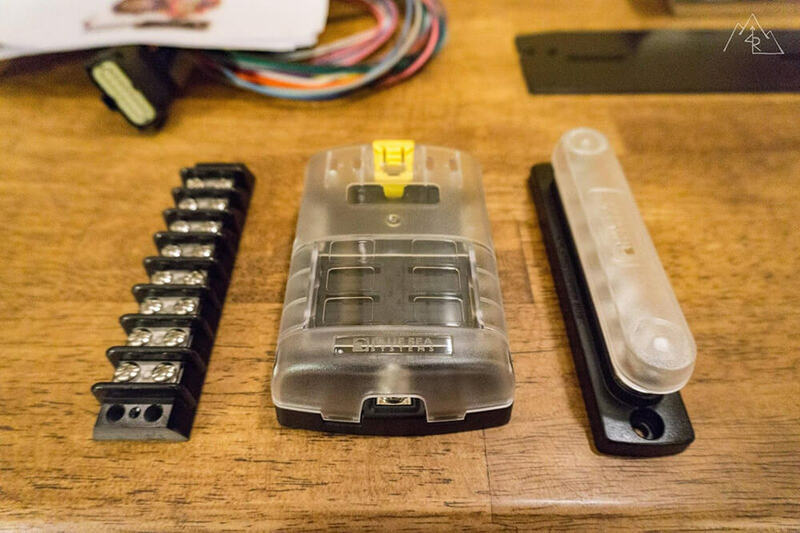 In theory, by using cables, you eliminate the need to have separate positive cables for the Switch Pro and the fuse block leading to the battery making for a cleaner installation. 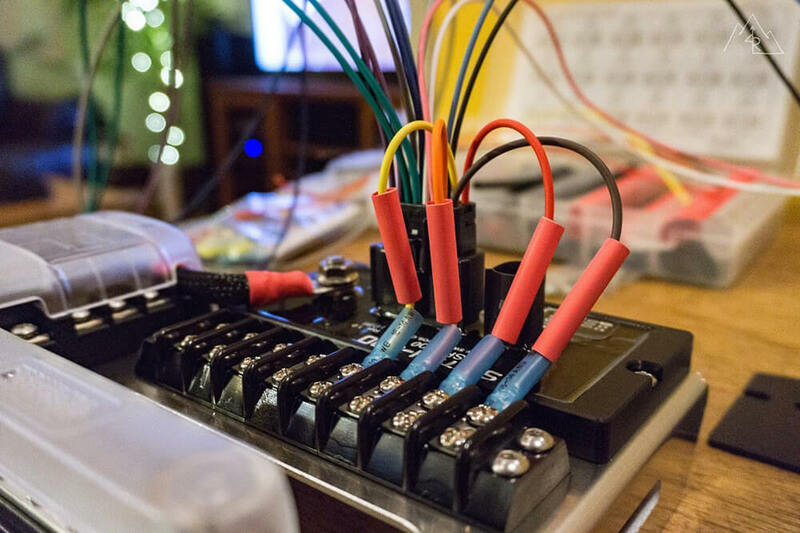 You use the provided positive cable (with 125A fuse) from the Switch Pro to connect to the battery, and the power is then split at the Switch Pro positive terminal to power the Blue Sea fuse block. Power Tray mentions on their website that as long as you will not be consuming more than 125A between both the Switch Pro and the fuse block, this arrangement works just fine. With that noted, I opted to separate the positive leads so that the Switch Pro and the fuse block would have their own battery connections. (note: photos of the initial configuration show the positive stubby cables before I switched it) I did leave the negative stubby cable connecting the fuse block and the BUS bar intact as there was no noted reason to change it. 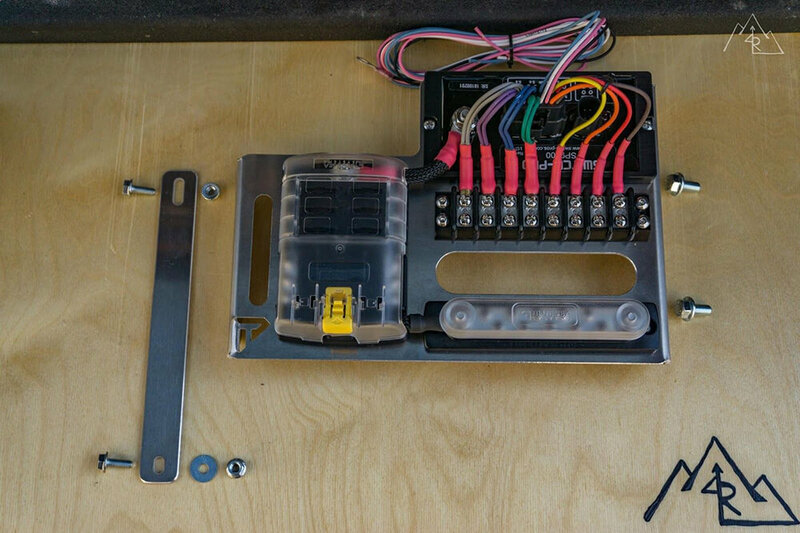 It attaches to the negative terminal on the fuse block and the closest terminal on the BUS bar using the supplied hardware for each unit. 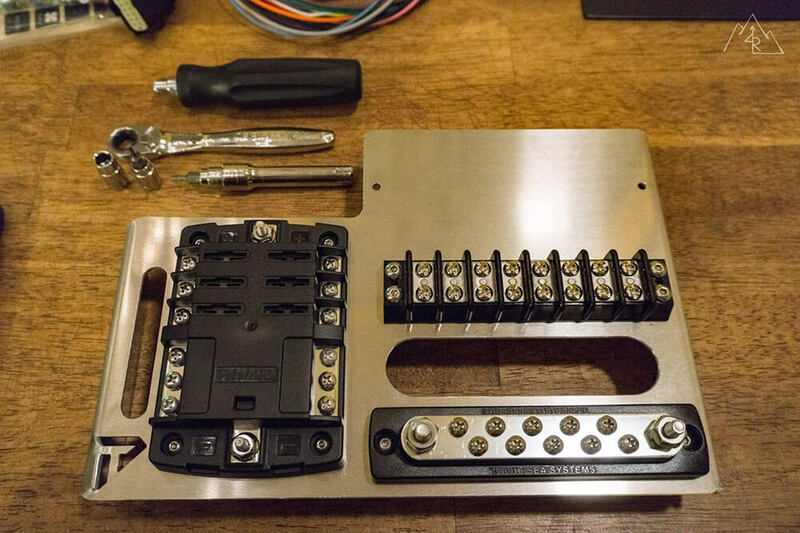 Now that the tray is configured with all of its parts, loosely attach the leg to the tray using the supplied hardware and grab the two M10 bolts that will be used to attach the tray to the fender using the stock tapped holes. First, I needed to remove my Slee Offroad compressor bracket and ARB compressor to make room for the Power Tray. Once it was removed, and the existing wires from other accessories were disconnected from the battery and pulled aside, I positioned the Power Tray. I positioned my tray as forward as possible to allow for the most future access behind the tray to the firewall grommet, making future wiring less cumbersome. There are two slots on the tray edge facing the fender, and when positioned as forward as possible, both of the fender holes line up in the slot closest to the firewall (see photo). 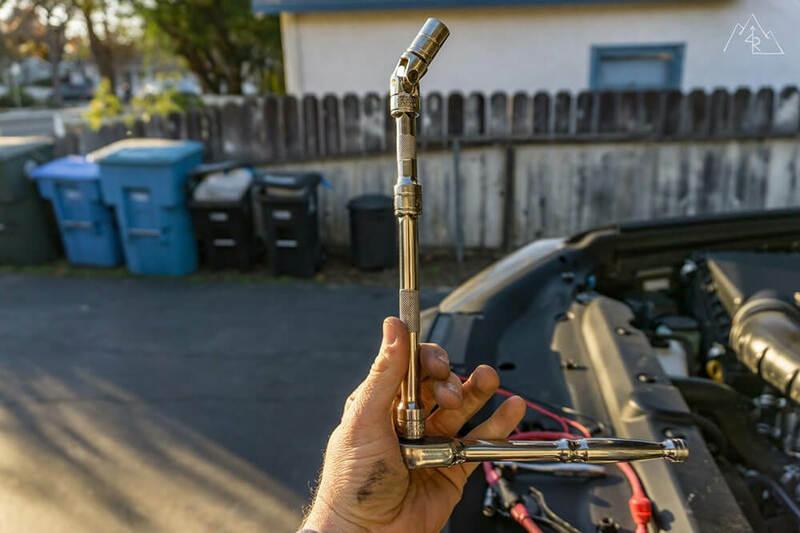 You will need to configure your ratchet with extensions and a universal joint to tighten these bolts as the access underneath is limited. 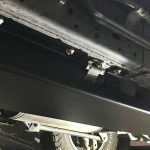 Once the fender bolts are snug, you can position the support leg to align with an existing non-threaded hole in the lower wheel well sheet metal. Here you will use the supplied bolt, washer and nut to fix the support arm to the hole. Blue Loctite should be applied to all of these bolts to reduce the risk of vibrational loosening. With that, the tray is installed. With the Power Tray in position, lightly thread the fender bolts into their designated positions. Be sure to use Loctite. Note the position of the bolts on the back slot of the tray, allowing for the tray to be as forward as possible. Add the support bracket and line it up with the hole in the fender. Loosely install hardware to allow for movement and alignment. Remember to add Loctite. This shows where the bolt comes through on the other side of the fender. Use a universal socket joint to allow for easier tightening of the bolt. Check for final fitment and tighten all bolts. The installed Power Tray and components. 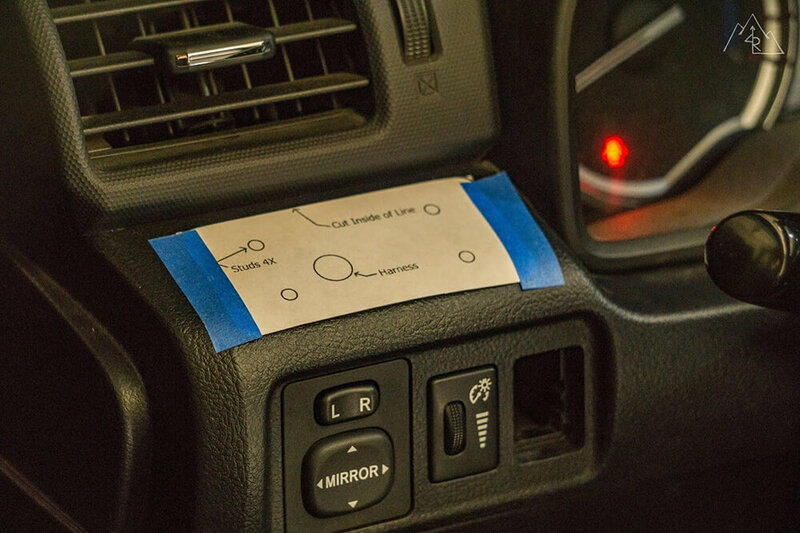 The blue wire must be connected to a source that only comes on when the vehicle is in the “ON” or “ignition” position. 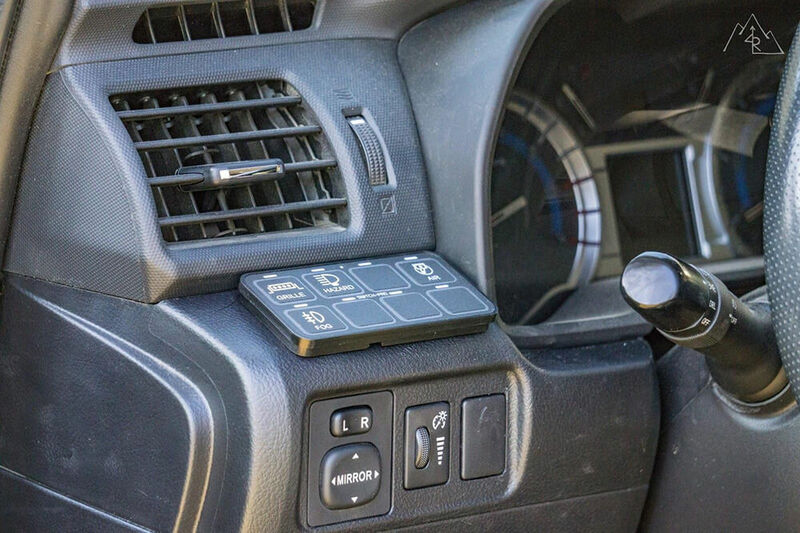 This tells the unit when the vehicle is on, allowing for accessories that have been programmed to be on only when the car is running to function. 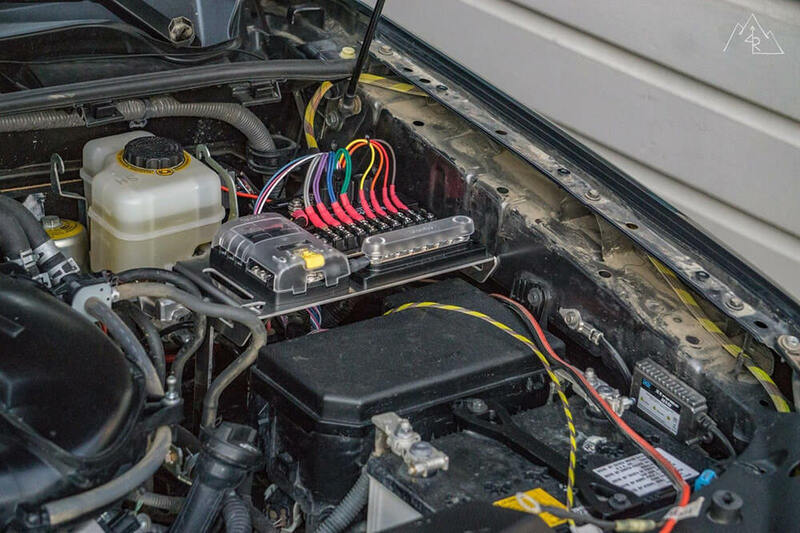 The white wire connects to a source that signals the vehicle’s lights are on. This allows the control panel to dim when the lights are turned on. A handy feature at night. 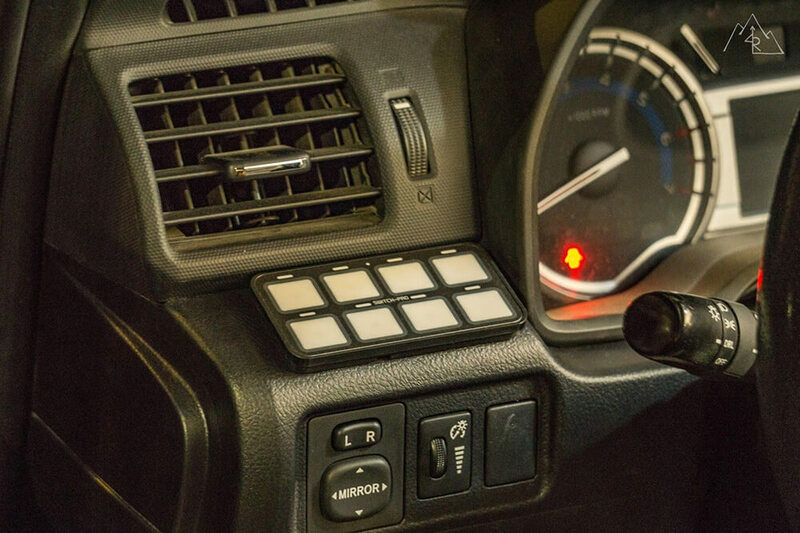 Both the white and blue wires can be run through the firewall to the fuse panel under the dash on the driver’s side near the emergency brake pedal. Using an Add-A-Fuse, connect the blue wire to the vacant slot fifth down from the top on the right side. This is an ignition triggered fuse. Using another Add-A-Fuse, connect the white wire with the “tail light” fuse, bottom on the left. Since the tail lights come on with both the parking lights and the headlights, this is an optimal one to use. Use 2.5A fuses for both. The pink wire can be wired with another non-Switch Pro switch to power a light. 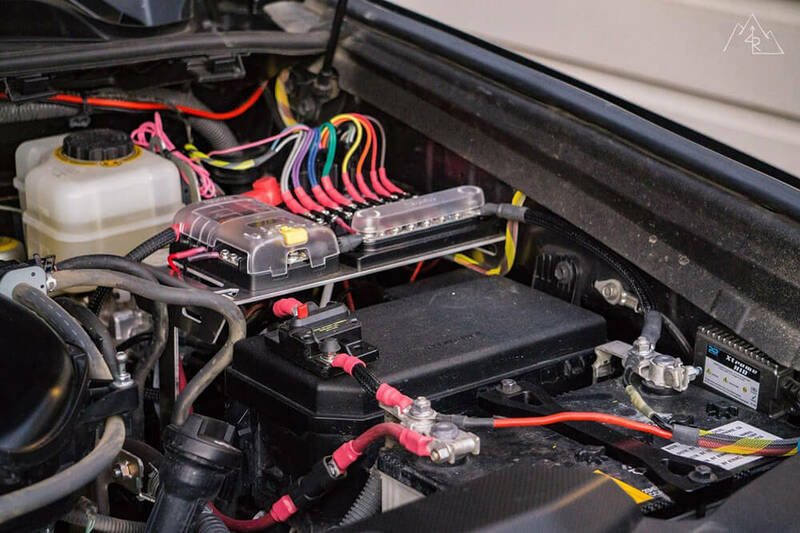 For example, you could wire your stock high beams to the pink lead on the Switch Pro to control an auxiliary light bar that you would want to turn on with the high beams. I did not use this feature yet, so I zip tied the wire under the Power Tray for future use. The black wire is the negative lead that should be wired to the negative terminal of the battery or in my case, the negative BUS bar on the Power Tray. Finally, the red power lead gets connected from the stud terminal on the Switch Pro unit to the positive terminal of the battery. I was able to route mine under the Power Tray for a clean appearance while still being able to access the fuse if needed. 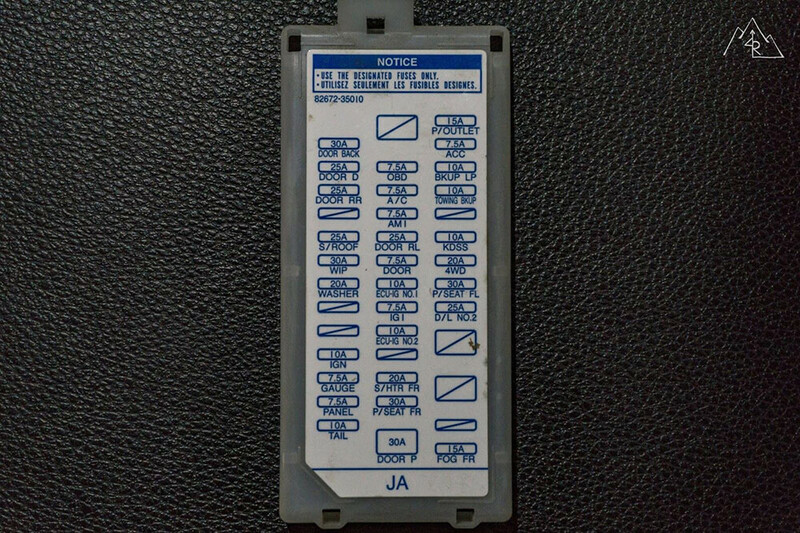 The add-a-fuses connected to the blue and white wires from the Switch Pro, powered at the fuse panel on the driver’s side. 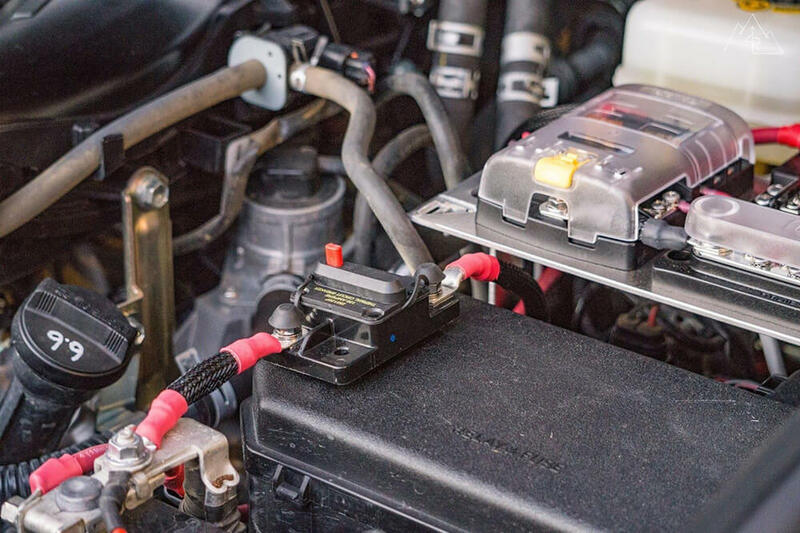 The main power lead for the Switch Pro can be seen attached to the battery terminal routed to the left of the OEM fuse box. Where you wire the Switch Pro control panel, it’s entirely up to the user. For me the key factor for the location was simple. I wanted to have the panel in sight but out of sight, meaning I wanted them to be a quick glance from the road or trail, but not in my face to distract me when I am not looking at them. I wanted them to be in a “natural reflex” zone in the same way that your high beams are so that I can quickly turn accessories on or off without having to look for the switch. 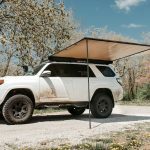 I wanted to have it out of the way so that I don’t compromise usable space in the vehicle. And lastly, I wanted to have it as discreet as possible because there are enough reasons for someone to break into a vehicle as it is. 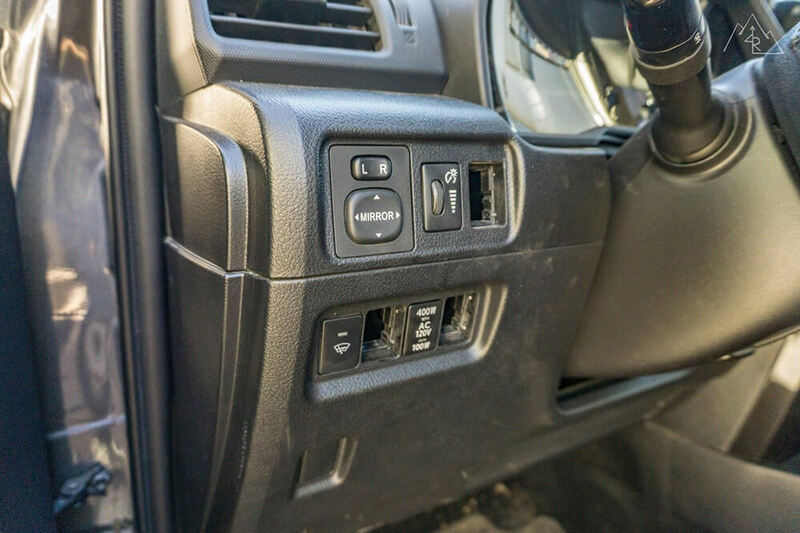 With all of those factors in mind, I chose to mount the control panel below the leftmost dash vent on a panel that fits the unit perfectly. I mounted mine directly using the supplied hardware, and the supplied drill template. A step drill bit will allow for a clean hole in the OEM trim panel. SDHQ does sell a replacement trim panel that has the Switch Pro cut out, allowing it to mount completely flush. I was okay with saving a little extra mod money and having a not so flush (but pretty darn close) finish. The last step is installing the stickers that correspond to your chosen accessories from the sticker sheets that they provide. Make sure to use the blacked out blanks for any unused switches to keep the backlight from being exposed and too bright to the eye. Following the Switch Pro instructions, remove the plug coming from the Switch Pro unit, and pass the wires through the firewall grommet. Once on the other side, reinstall the plug end and attach it to the control panel plug, securing the wire with zip ties. This “shelf” above the mirror controls is where the control panel will be installed. Using the template provided by Switch Pro to line up where the panel will be installed. It’s easier to remove the panel for drilling than to do it in the vehicle. You are less likely to nick another panel. The Switch Pro panel installed without the labels installed. To complete the circuit for the auxiliary power on the Power Tray, you will need to connect to a positive and negative source. First, you must choose how you would like to isolate your auxiliary power. The two most common ways are using a fuse which when overloaded will blow and must be replaced. The other option is using a circuit breaker, which will also blow when overloaded but can be reset once the overload is isolated and fixed. I decided to install the breaker to allow for an easy disconnect if I need to work on the electrical system, as well as it makes field fixes easier because you don’t need to bring a spare fuse. I installed the breaker a short distance from the battery terminal, attaching it to the top of the OEM fuse block with a strip of 3M fastener. Using an appropriately sized wire, I cut and attached two eyelets to create the positive lead from the breaker to the stud on the fuse block. I used red shrink wrap on the ends to show that it is a positive lead. I used the same wire for the negative connection, attaching it to the stud terminal on the BUS bar on one side and the negative battery terminal on the other. It’s always best to ground to the battery directly when possible because not all “body grounds” can guarantee a good ground. The Blue Sea circuit breaker for the fuse panel attached to the OEM fuse lid using 3M fasteners. Note the black negative wire attaching the negative BUS bar to the negative terminal on the battery. With that, your installation is done. 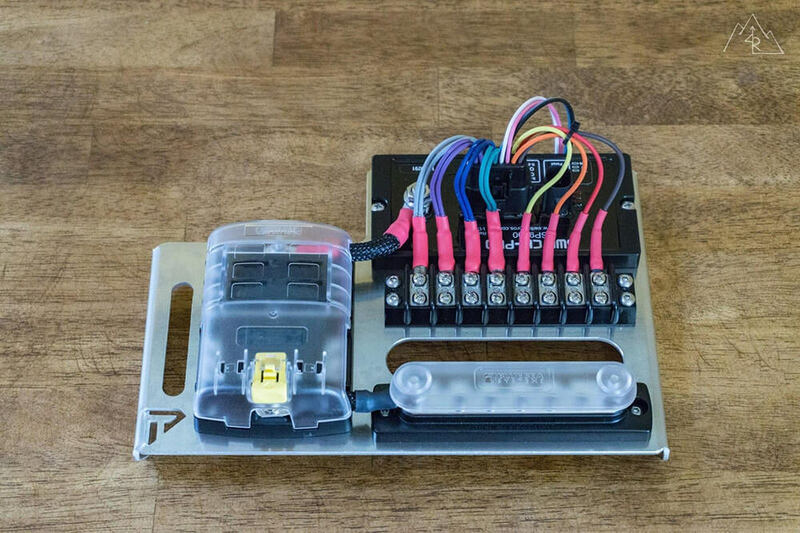 You can now connect your switched accessories to the Switch Pro and your constant supply accessories to the fuse block using the same wiring techniques as when you wired the Switch Pro leads in the beginning and appropriate fuses on the fuse block. 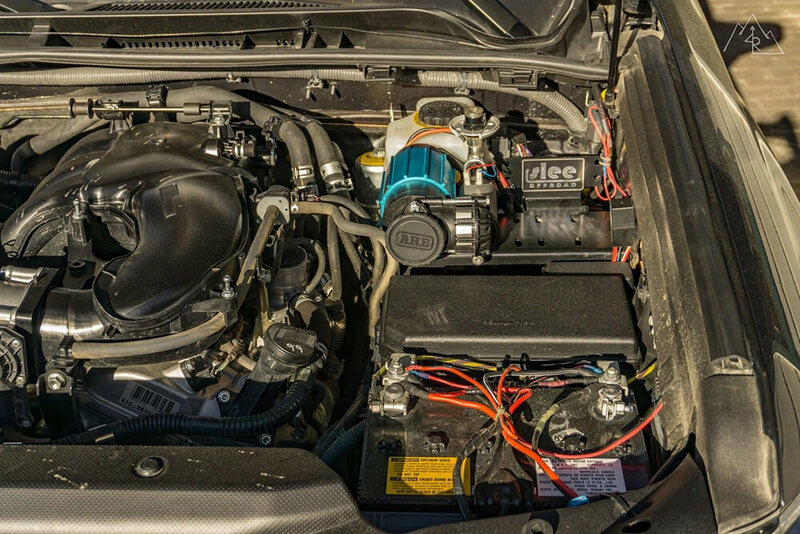 Enjoy the cleanliness of the engine bay as you power all of your vehicle add-ons in style. 1. What’s the diameter for the shrink tubes? Can you provide a link? 2. Which circuit breaker did you use? What’s the part number? 3. 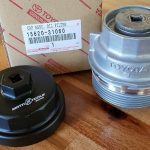 Can you provide a detailed part number list? Eric, part numbers have been updated and I have provided links where applicable. Hope that helps. Happy mod’ing! Eric, I’ll update the original post with that information later today / tonight! YES what Eric said, Love the write up! im going to do the same thing! Hunter, part numbers have been updated and I have provided links where applicable. Feel free to respond with any questions you have. Happy mod’ing! what do you have attached to your fuse box? Currently I have my HAM radio, and a few lights with their own switches. In the next few weeks I will be adding fridge power as well as a few dedicated USB power outlets that are independent of the ignition for charging when the vehicle is off. Max, how the hell did you get the cable for the sp9100 through the fire wall?!? I can’t seem to find out how to release the pins to get the connector off?! You mention 2.5amp fuses for both add a circuits, is that a typo do you mean 7.5amp fuses? I should clarify, for the ignition add-a-fuse, I used a 2.5A fuse to supply input to the Switch Pro. 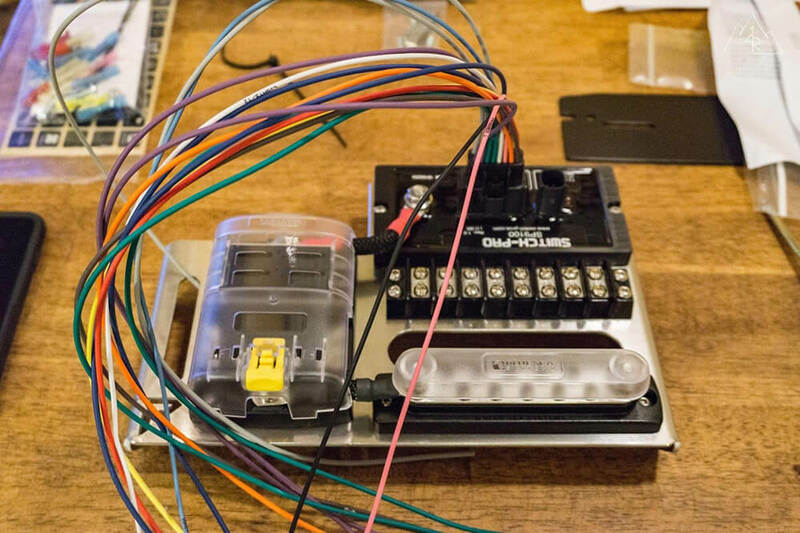 For the light input (white wire), the fuse for the tail lights is still the original 10A, and the fuse supplying input to the Switch Pro again is a 2.5A fuse. 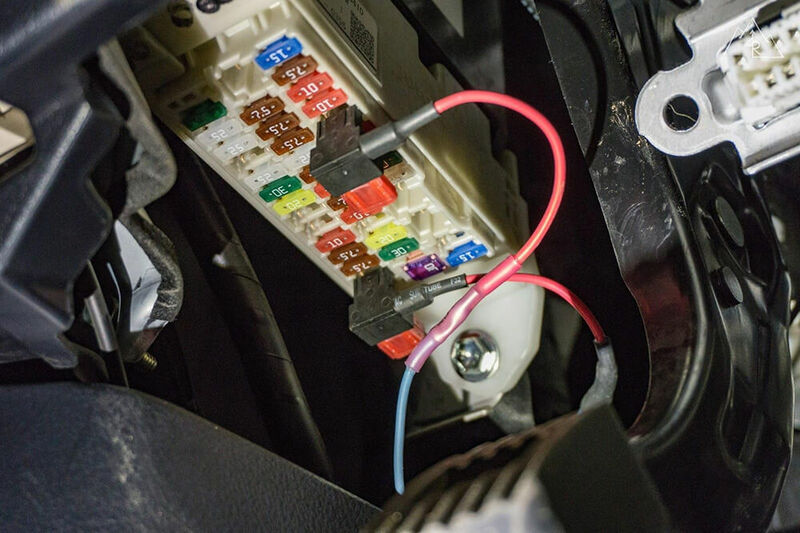 Because the draw on both of the Switch Pro inputs is so minimal, you want to use the smallest fuse you can to make sure that anything causing even a small increase in load (short, etc) will trip the fuse before shorting anything else in the OEM fuse block. Did you have any issues with the power tray panel hitting the little hub/bump out right above the threaded holes to attach the panel too? I’m not using a powertray panel but a pelfrybilt panel and am having it contact the hump before it sits flush against the metal. Nothing that would make a significant difference. 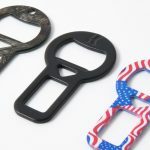 You can add washers between your mounting bracket and the inner fender well to make up the difference, allowing for a flush mount. 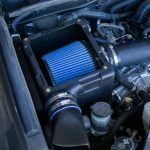 Can you do this setup if you use the Slee mount for the ARB twin compressor? Unfortunately, you can’t. That is the bracket I had in there before and I had to replace it when I installed the power tray. 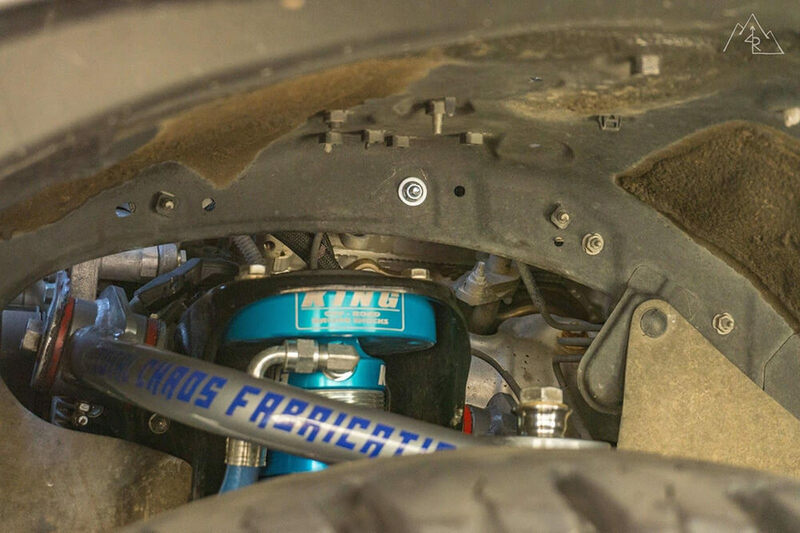 I switched to the 4×4 Labs passenger side compressor mount, as shown in the photos. So when adding accessories, I’m assuming that the positive wire goes to the terminal block, and the negative to the bus bar. One basic question: is it really necessary to add the fuse box for this install? Do you still route the SP9100 outputs to the fuse box and then to the light bar/other accessories? One basic question: is the fuse box necessary for this install? do you run the outputs from the SP9100 through the fuse box and then to the accessory (like a light bar etc)? Hey! You don’t need to have the fuse block if your only power requirements are met using the Switch Pro. My fuse block powers things that are always powered like my HAM radio, fridge, and additional USB outlets. It all depends on what you need to power. My question is with your compressor wiring; did you wire the pump switch and power through the Switch-Pros or did you keep the ARB relay for power and run the switch portion only through the 9100? Also, it would be great to see the compressor in its new location. 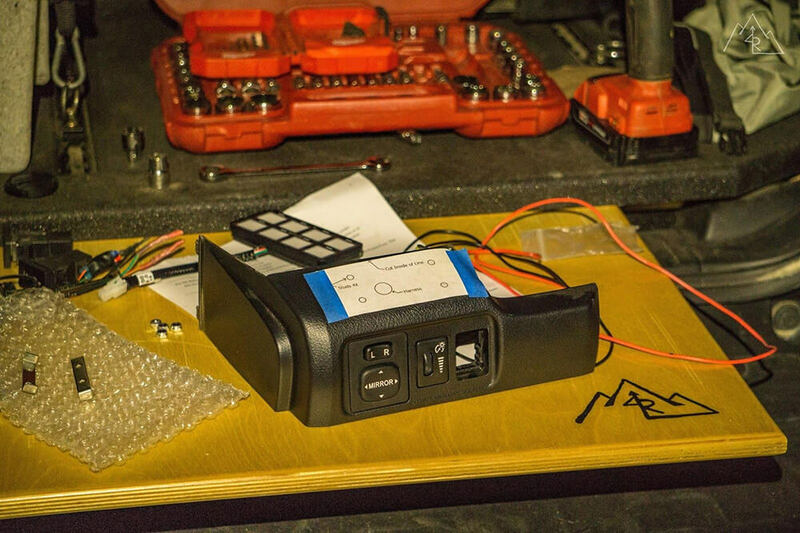 The ARB relay is used along with their wiring and in-line fuse connected straight to the battery. The Switch Pro just controls the switch input for the ARB relay. question which area did you route the wires for the switch through the firewall? There is one major OEM loom that goes through the firewall on the driver’s side. You can penetrate the outer portion of the rubber boot with a small knife and run the loop through there. You will need to look under the dash to see it on the other side. Love the detailed installation. 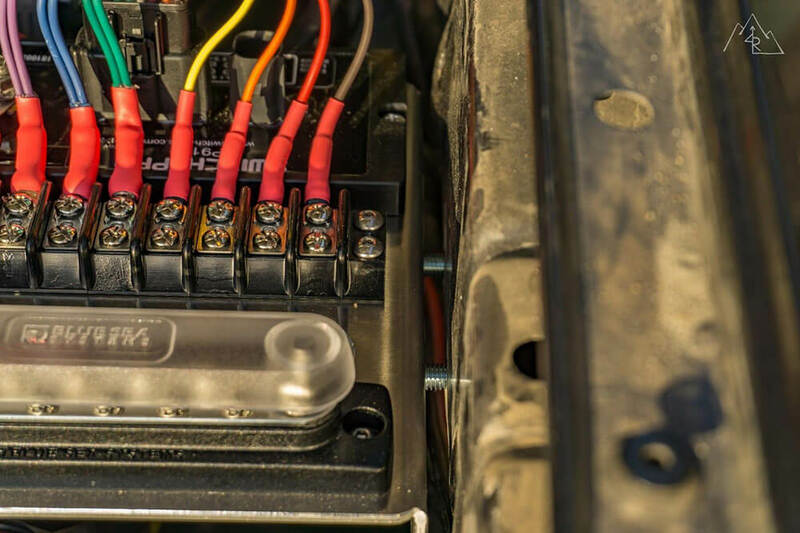 Question for you, so do you have a power coming from the blue sea fuse box to the switch pros and on top of that another power coming from the battery? (basically asking if you have 2 power supplies coming into the switch pros screwed in on top of each other). 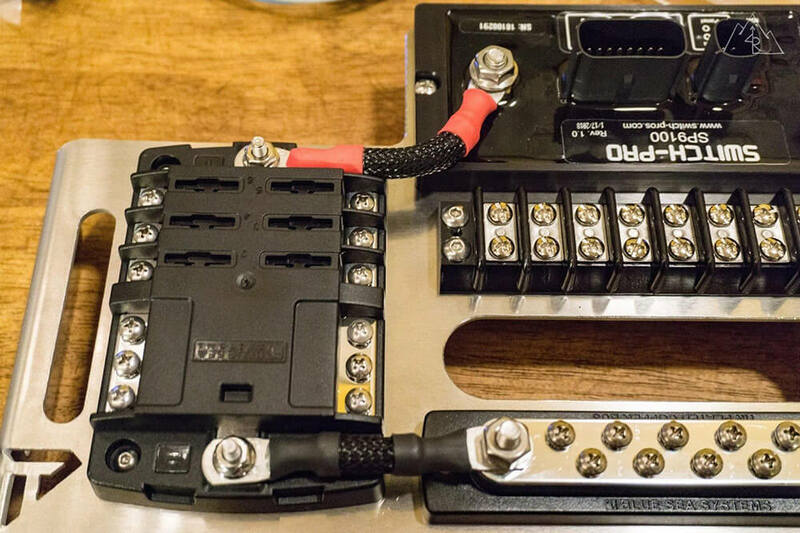 Hi Wade — The Switch Pro and Blue Sea fuse blocks have separate power cables coming from the battery. The Power Tray instructions tell you that you can piggy back them together, but the Switch Pro instructions say that the power source must be a direct battery connection. So I went with the Switch Pro instructions and separated them for good measure. 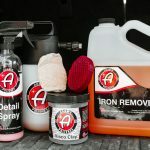 Thank you for the write up, I used this to install my switchpro and without it I wouldn’t have known where to begin! 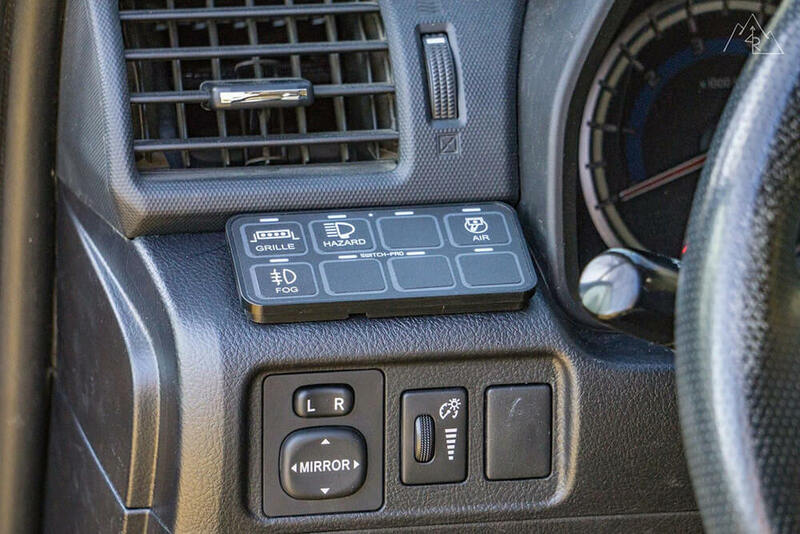 One addition I would like to add that will make this the most complete package possible is the ’10-Current 4Runner SDHQ Built Switch Pros Keypad Mounting System (link below). This is a pre fabricated part for the same location you have that is the cleanest way to insert the control panel. I had a friend CNC cut it which came close but from experience this is by far the best way to mount it. Hope this helps refine the switchpro build page, glad to continue spreading the knowledge like you did for me! I do see it now that you mentioned it, I must have overlooked it when I was getting it in there. I do agree with your response that just adding it in the top list would resolve the issue. Thanks again great write up. 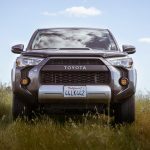 Max, I just read a post on 4runner.org titled “Own a Baja Designs Pocket Kit Pics Please” where you mentioned that you have the ability of decreasing the intensity of the amber fog lights using a long press on switch pro control panel. I had the Pros and that was really bright so I returned them and got the Sports at half the lumens. Now I am thinking of going back to the Pros. This 9100 install tutorial is excellent to follow but it still seems like too much for me still. 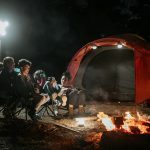 Do you have figures that reference the lumens difference you get for the Pros? Also does the power wired form the fog lights go directly to the 9100 and the existing OEM socket just gets taped up and not used? 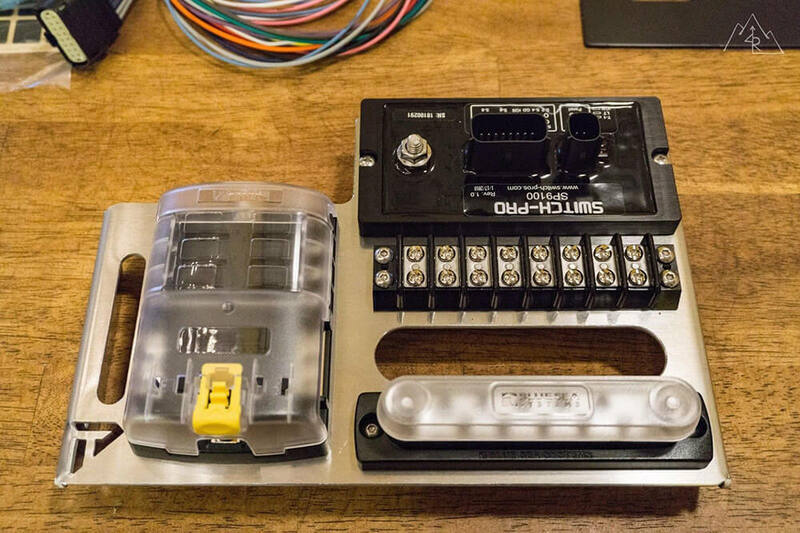 Assuming the loads are below the max for a circuit on the Switch-Pro, can you run things like lightbars directly off of the output from the Switch-Pro or would it be best to have a fuse between the device and the Switch-Pro? Hi, switch pros manual says very specifically to mount the control module vertically. Is the powertray still an acceptable way to mount it? Good call on the vertical mounting recommendation! I saw the caveat in the article above. 1) Would you keep it mounted horizontally or change it up to the manufacturer’s recommendation? 2) If you did change it up, would you still use the Power Tray or go another route? 3) If you did you see the Power Tray to mount it vertically, what’s the best way of making it work? I still have mine in the box and am hoping to “do it right” the first time. I know, I know, wishful thinking, right? 1) I personally will keep it mounted as-is, unless PowerTrays comes out with a modified mount. That area of the engine bay doesn’t and shouldn’t see water directly, so I am less concerned about it. 2) I would use the PowerTray, and just modify it to adjust the angle. 3) I would imagine that installing a 45º to 90º bracket to the PowerTray in the same location would be the simplest way to do it, and likely the way I’ll go if needed. Just received my Power Tray and my Switch Pros. Should I be concerned that the first instructions for the Switch Pros says to ONLY mount it vertically or it may void the warranty. Then it says using a terminal block IS NOT RECOMMENDED due to water? Thanks Max. It was just a little bit of a shock to see those warnings and not see them on the Switch Pros sight. If I still had access to a machine shop I would slot the mounting holes on the Power Trays, add a cut and bend up the mount location for the Switch Pros to let water run off a little better. The concern is that they added this, so they must be seeing some issues. love this post my dude! just wondering what LED bar your are running and how you mounted it. i dont want to block my radiator where most put the LED bar (on the middle part) and love where you mounted it on the top part of the grille. So I’m just starting to mod my 2018 TRD and I’m going to eventually add lights (roof, bumper, rock) and upgrade the stereo. Should I add the tray prior to the stereo to add a mounting point for the amplifier in line fuse? You should read his build thread. Some really creative ideas. Grab a beer or 3 and enjoy. 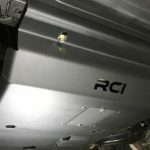 He is running a BaJa 20” S8, his build thread has a link. Any issues with the PowerTray rubbing on those vacuum hoses? 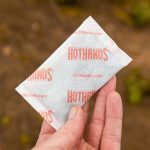 Putting mine in now and thinking about putting a little abrasion resistant braiding over them if they’re going to be in contact there.